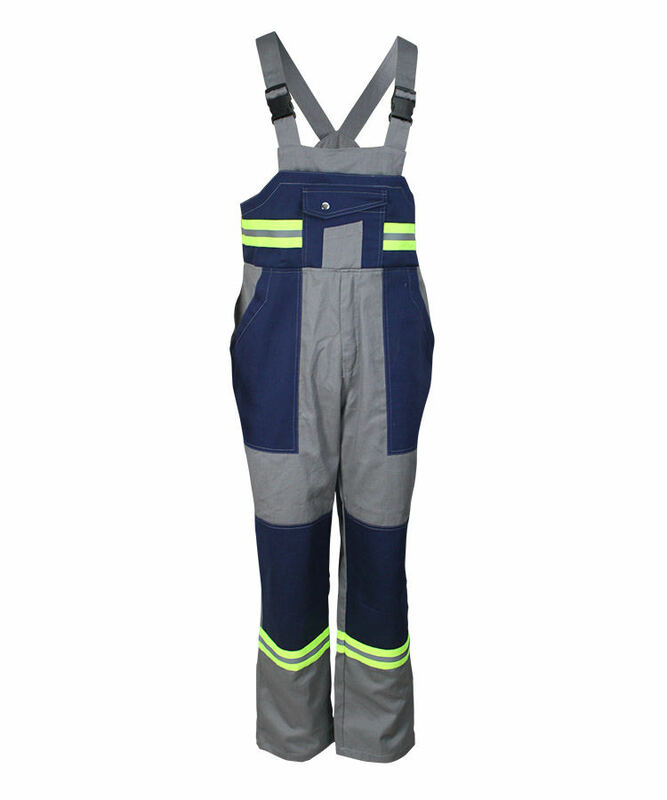 This aramid IIIA anti static fire proof bib pants made of 230gsm aramid IIIA anti static fire proof fabric, and can meet EN ISO 11612, NFPA2112, EN1149-5 and other standards. 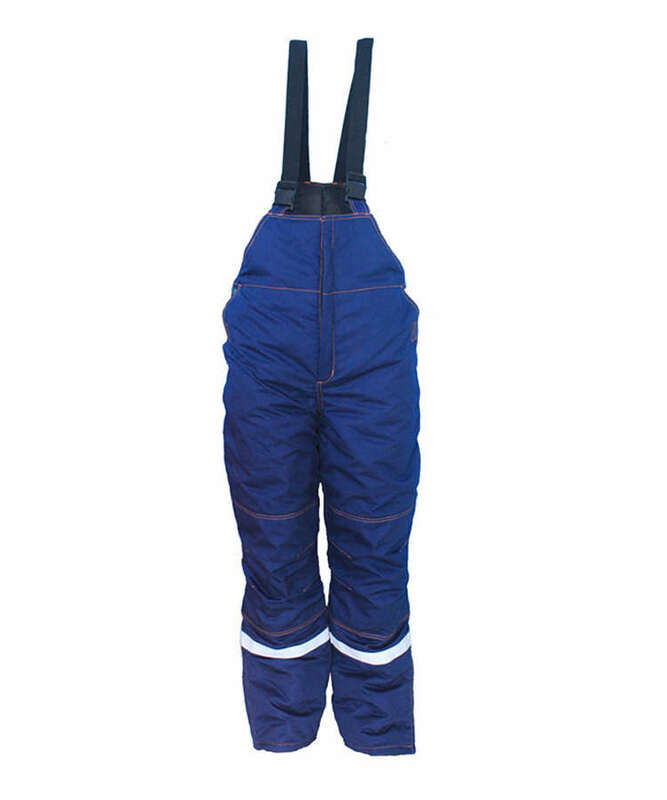 This aramid IIIA anti static fire proof bib pants has self-extinguishing when leaving the fire, without molten drop, char length can be controlled within 10cm, soft touching, good strength, good wear resistant property. 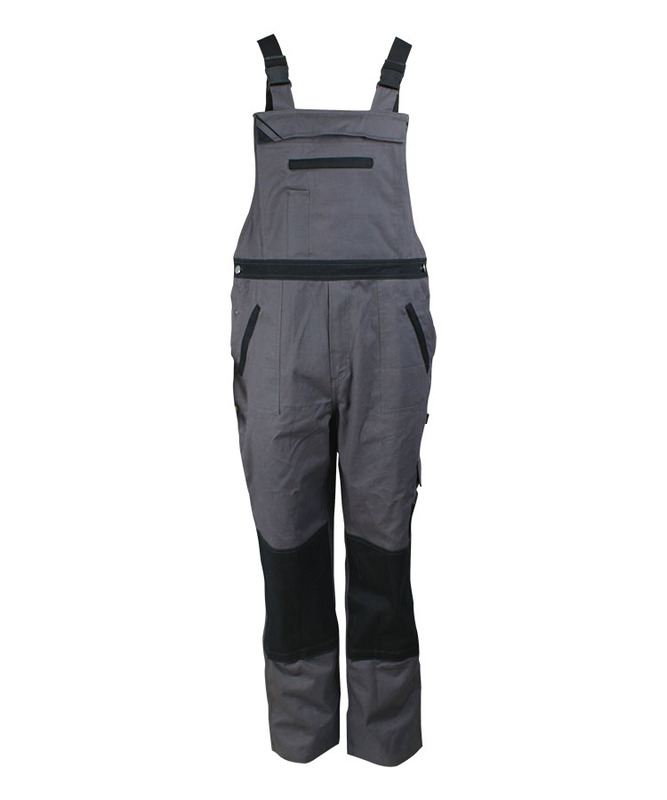 And this aramid IIIA anti static fire proof bib pants also has good elastic both under dry and wet condition, stable dimension, small shrinkage, not easy to fold, easy to wash, fast drying. 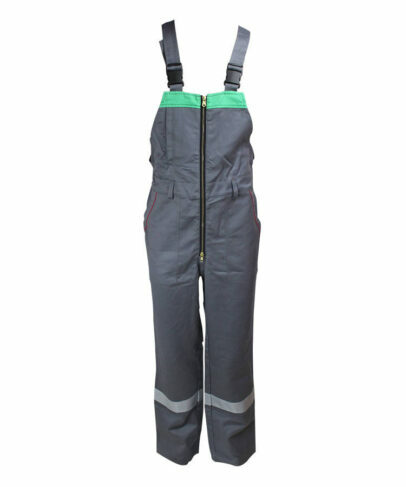 This aramid IIIA anti static fire proof bib pants has good breathability and suitable used in hot and humid conditions. Loops on the waist for wear a belt, more practical. 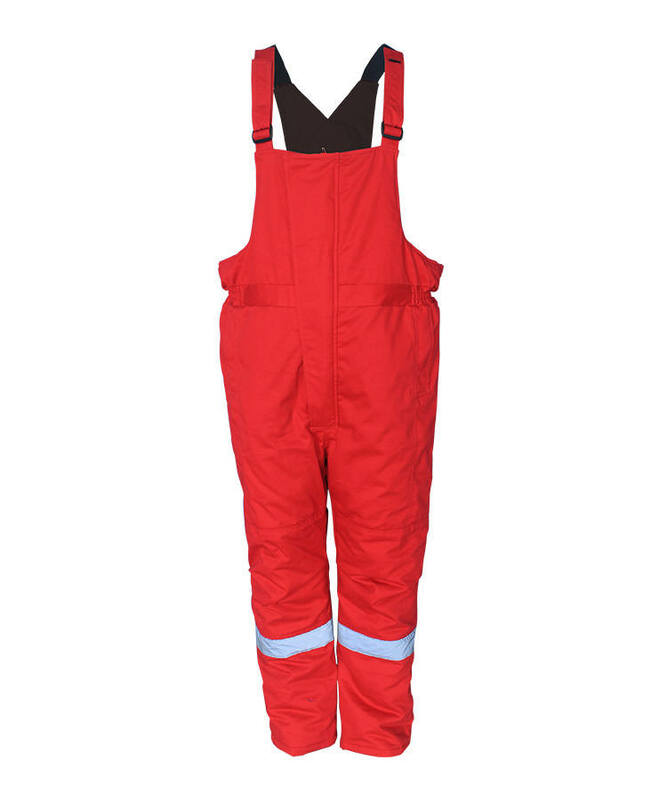 Slanted pocket with red color strip on the side seam. 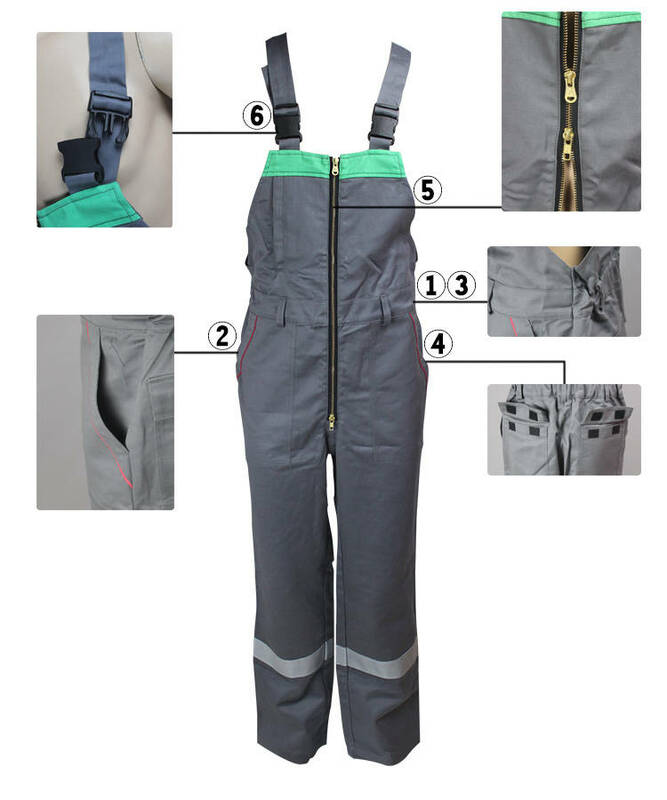 Adjustable elastic waist, more comfortable. Two hip pockets with flap, closured with velcro, velcro with four edges stitch and cross stitch, more durable. 5# double way metal zipper for the front closure. Braces and the front upper connect with belt buckle, easy to wear on and wear off, also can adjust the length of braces. The front of upper part is double color, beautiful and decent. A vertical pocket closed with zipper on the right side for store small objects. 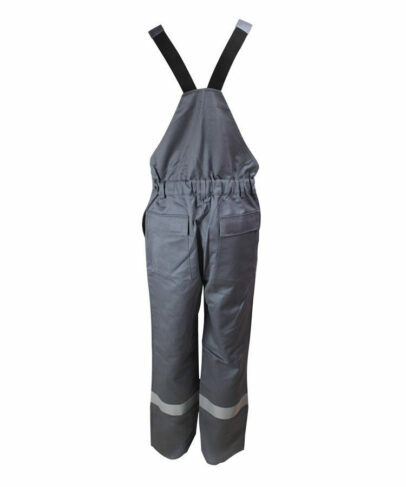 5cm width reflective tape on the aramid IIIA anti static fire proof bib pants’ legs with double stitch. Pockets and stress points reinforced by bartacks.